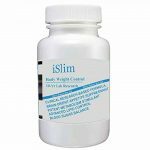 iSlim Body Weight Control is a weight loss supplement in tablet form, based on herbal ingredients, and the principle ingredient is tea extract. Available only from Amazon, and contains unusual herbal components including Goats Rue, Coreopsis Tinctoria (Golden Tickseed), and Berberis Aristata (Tree Turmeric). We uncover what the benefits of iSlim are, and what side effects you should expect to see. No comments Published Apr 4, 2019.
iSlim Body Weight Control is a weight loss supplement available only from Amazon. According to the advertising, it has undergone 10 years of research and is clinically proven to reduce appetite and to stimulate metabolism. In all honesty, our first impression is that someone has wasted a whole decade on this, but are we being unfair? And did this research even happen anyway? Let’s take a look and find out. iSlim is on sale from a company called Columbia Healthcare that sells this supplement solely on Amazon. There is no background information or even a website for iSlim or Columbia Healthcare. According to Amazon, Columbia Healthcare is a newly launched storefront so it obviously has not been around for long. iSlim Body Weight Control is a weight loss supplement that contains a blend of fairly unknown and unproven ingredients. Although some of these are known as various native medicinal herbs, there is no evidence that they will help you lose weight as promised and side effects are likely. The company behind this supplement is unknown and it is probable that it has been manufactured overseas and imported. Nobody has spent 10 years working on the formula and with very inferior packaging and broken English written on the label, this is certainly not a high-quality product. Each plastic tub contains 60 tablets and it is only on sale via Amazon. What are the side effects of iSlim? iSlim may cause side effects. Rauvolfia Vomitoria can cause nausea, vomiting, lowered heart rate, lowered blood pressure, drowsiness, dizziness, increased anxiety, and birth defects. Platycladus Orientalis Extract may cause reduced blood sugar levels, tremors, restlessness, kidney damage, vomiting, dizziness, seizures, and contractions of the uterus. Many of the other ingredients don’t have much information in the way of long term safety or side effects. However, potential side effects may include changes to blood sugar levels, liver damage, heartburn and increased stomach acid, and headaches. You need to avoid this supplement if you are pregnant, breastfeeding, or trying to conceive because some of the ingredients can cause birth defects or contractions of the uterus. Speak to your doctor before use if you are taking medication (especially for diabetes or mental health issues), or have an underlying medical or mental health condition. How much does iSlim cost? However, 1 x bottle of 60 tablets costs $18.80. This is enough for 2 weeks to one month’s supply. It is on sale solely via Amazon USA. 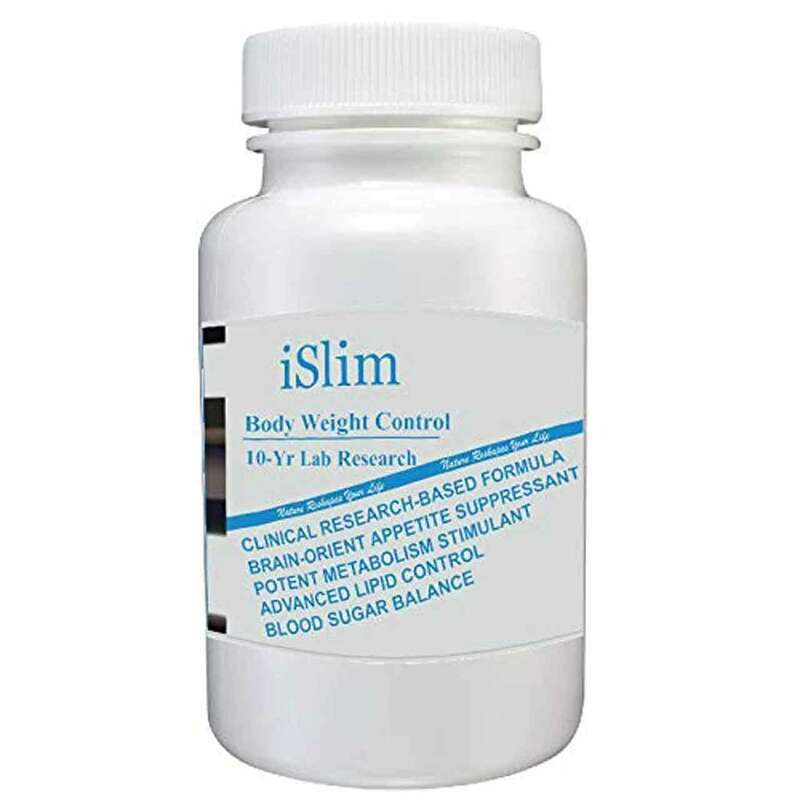 iSlim Body Weight Control is a weight loss supplement in tablet form, based on herbal ingredients. The principle ingredient is tea extract which is well known and well tolerated but after this, the ingredients list starts getting very strange. iSlim contains a blend of weird ingredients – some of which are in a so-called branded supplement called NeuroTech Complex. We have searched for NeuroTech Complex but found zero background information such as a maker, or any mention of it at all. This part of the formula is concerning. It contains unusual herbal components including Goats Rue, Coreopsis Tinctoria (Golden Tickseed), and Berberis Aristata (Tree Turmeric). Most worrying is a West African plant extract called Rauvolfia Vomitoria, banned in many countries. Other ingredients in iSlim include Nelumbo Nucifera, sometimes called Indian Lotus, Turmeric, and Gingko. Check out the ingredients tab and the side effects tab to find out more. Overall, iSlim does not look very safe and side effects are likely to be an issue. 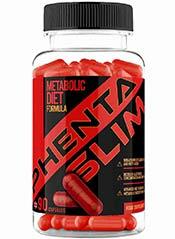 In our opinion, this supplement has every sign of being manufactured overseas and imported. The bottle is not marked “made in the USA” and the packaging looks dated and badly printed. So far we are pretty concerned about the safety of this supplement. There is zero background information to iSlim, Columbia Healthcare, or the NeuroTech Complex which makes up a lot of the formula. All these names are used for countless other business but sound familiar, so it was undoubtedly done for this reason. In addition, have you ever heard of a reputable company without a website or even a social media page? We haven’t and can only assume that whoever is behind this supplement is staying hidden for a purpose. What does iSlim claim to do? The most unlikely claim is that iSlim Body Weight Control has undergone 10 Years USDA Lab Research. Ignore all the claims about this supplement being tested in the lab for the last ten years. This supplement contains herbal ingredients which have NEVER undergone clinical testing on humans. And although some of the individual components are known as traditional herbal medicine, it is unlikely that they have ever been mixed up together in this formula. Will they react with each other? Nobody will know the answer to this question, although you might find out when you take it! Side effects are highly likely yet unpredictable, and the serving sizes for the individual components are unknown. Rauvolfia Vomitoria has a scary name for the simple reason that it is poisonous! In our opinion, iSlim is potentially dangerous. 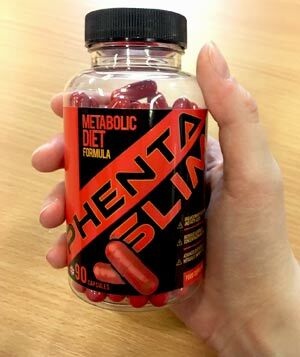 The impressively named ‘Columbia Healthcare’ provides no contact details should things go wrong, and don’t be fooled into thinking that this supplement must be OK if it is being sold openly on Amazon. The supplements world is completely unregulated, and sadly, dangerous herbal products are not unusual. Serving size is equal to 2 tablets. Coreopsis Tinctoria Nutt. Extract (80mg): More commonly known as Golden Tickseed, this plant grows in the USA as well as China and other parts of Asia. 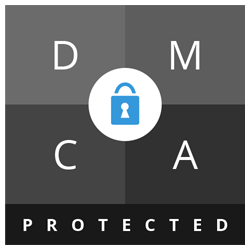 Animal testing on rats and mice suggests it might have numerous health benefits including protection against myocardial infection and hyperglycemias – a state suffered by diabetics after too much glucose. However, there does not appear to be much in the way of testing on humans, and so far seems to be in the early stages of research. Any side effects are not yet known. Galega Officinalis Extract (80mg): Galega Officinalis is a plant commonly called Goat Rue. Lab testing suggests it may lower blood sugar levels, but it lacks sufficient evidence. Side effects and optimum serving size are not yet known. Rauvolfia Vomitoria (60mg): West African tree which also grows in Asia and Hawaii. In Africa, it is used medicinally for all kinds of maladies including snake bites and period pains. However, it is not safe to take and its natural chemicals can cause a range of potentially dangerous side effects including changes to heart and blood pressure, shakiness, convulsions, birth defects, and anxiety attacks. Every part of the tree is poisonous. Rauvolfia Vomitoria is banned in Canada. Camellia Sinensis Extract (250mg): Better known as tea! There are no further details about the type of tea used here. Green tea is a natural tea that retains more antioxidants and health benefits. Black tea, the type of tea that we drink more commonly, has been processed, destroying many of the antioxidants. Nelumbo Nucifera Seed Extract (100mg): Commonly known as Indian or sacred Lotus, this plant is high in antioxidants and contains a natural chemical called Neferine which may have sedative properties. However, there is no real information about it and neither has a serving size been established. Curcuma Longa Extract (80mg): Better known as Turmeric. There are many potential health benefits to turmeric and some research suggest that it is effective for reducing pain and inflammation for osteoarthritis. It is supposed to reduce inflammation too but lacks much in the way of clinical proof. Gingko Biloba Extract (80mg): Gingko is a tree which grows in China and its bark originally used in Chinese medicine for a range of purposes. The leaf is also used for memory disorders such as dementia and it may help reduce anxiety. Most clinical testing has been carried out on a specific branded Gingko product called EGb 761. Caution: Not suitable for individuals under 18. Avoid if you are pregnant, breastfeeding or trying to conceive. Speak to your physician before use if you are taking prescription medication, especially medication for mental health issues or diabetes. Seek medical advice before use if you have an underlying health condition. Discontinue use in the case of side effects and seek medical advice. Don’t forget to take the supplement with you. At the time of writing, there are 7 customer reviews posted on Amazon and all are positive. However, five of the reviewers have never previously reviewed anything before and this seems suspicious. Bizarrely, most customers have included pictures of the product which seems a little advanced for new reviewers. definitely curbed my appetite immediately. making fasting easier. i like that the pills are big but easy to swallow. i’ve noticed that i’m not as bloated. haven’t weighted myself but feel lighter. i do notice that it also makes me drink more water. You can only buy iSlim via Amazon. iSlim Body Weight Control looks to be an extremely dangerous and unpredictable supplement. Don’t be fooled into thinking it must be OK because it is openly on sale from Amazon; this is no guarantee of safety. The supplements industry is unregulated and anyone can set themselves up as a business peddling herbal supplements. In fact, until something goes wrong and enough people get ill, companies can get away with it for years. iSlim comes with zero background information. It is unlikely to have been manufactured in the USA in conformity with GMP (Good Manufacturing Practice) because this would have been mentioned. In our opinion, the names iSlim, the so-called NeuroTech Complex and the Columbia Healthcare name of the company have all been chosen to sound reassuring high tech and American, and to create a misleading impression. There is always a risk in buying unknown supplements online. iSlim Body Weight Control is a perfect example of why you should always do your research before you buy, and why our Watchdog website was set up in the first place! We do not recommend iSlim Body Weight Control to the Watchdog readers. How does iSlim compare to Phentaslim?